The protection of intellectual property rights on the Internet have caused many pages to be blocked by the competent justice departments, specially in the United States. 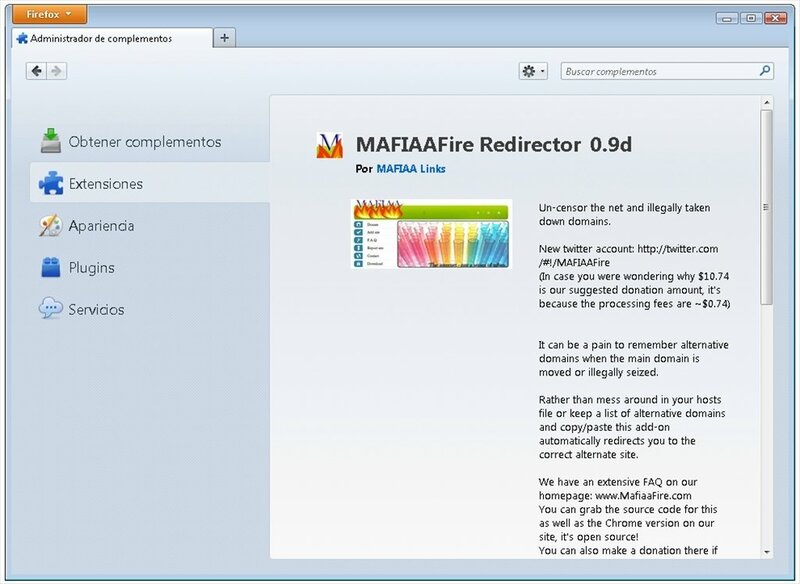 MafiaaFire Redirector is a Firefox add-on that automatically redirects you to other operational domains of that web that you cannot access. 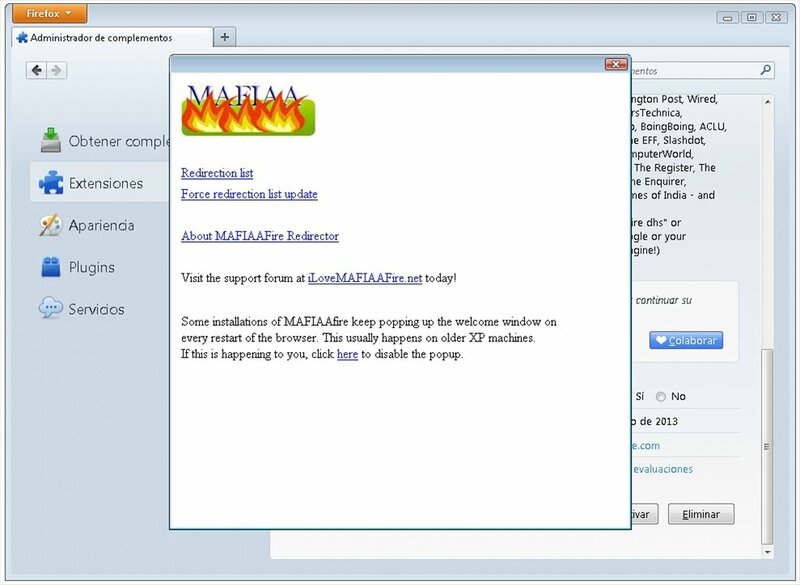 The add-on starts to act as soon as you visit a blocked web page. 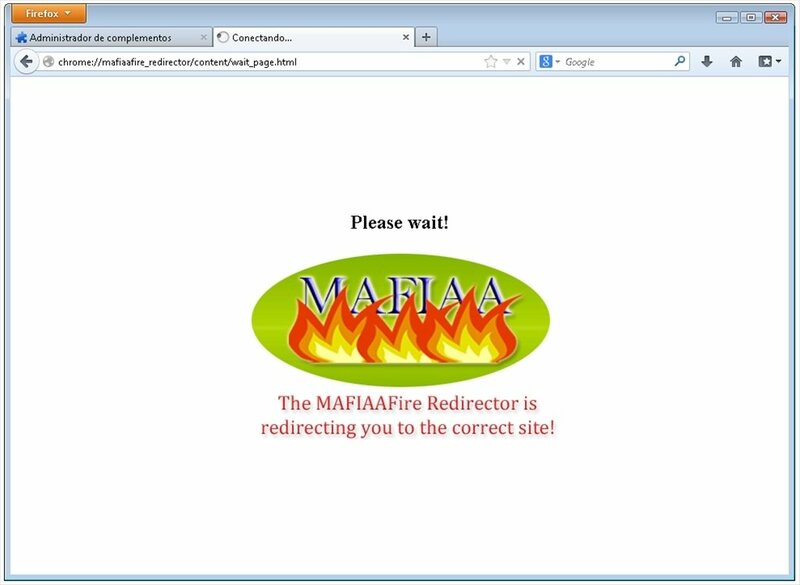 MafiaaFire Redirector immediately searches for other associated free access domains and takes you to them. You must take into account that not all blocked pages have alternative domains. 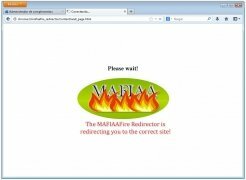 Be automatically redirected to the correct web. 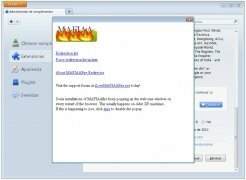 Check a list of compatible pages. Open source code available for any user. 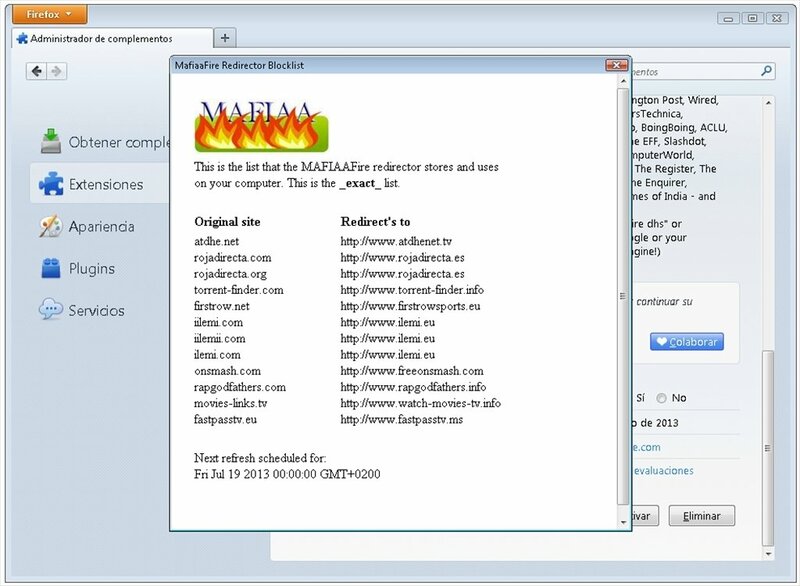 If you are a web administrator, MafiaaFire Redirector will be very useful to register your web and an alternative domain.Therefore, you can guarantee that, in the case of possible governmental blocks, there is a mirror page of your contents for users, keeping your site always operative. Avoid the blocking of web pages. 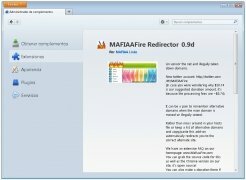 Download MafiaaFire Redirector for free and redirect your visits from sites blocked by institutions to other alternative domains.